I am a baby of the '80s. And I love all things from that decade. I have been so excited to see Netflix bringing back some of my favorites like Care Bears and now She-Ra! The highly anticipated Netflix original, DreamWorks She-Ra and the Princesses of Power, is now available. In the 1980s series, She-Ra was extended from "Masters of the Universe" and was He-Man's long lost twin sister. 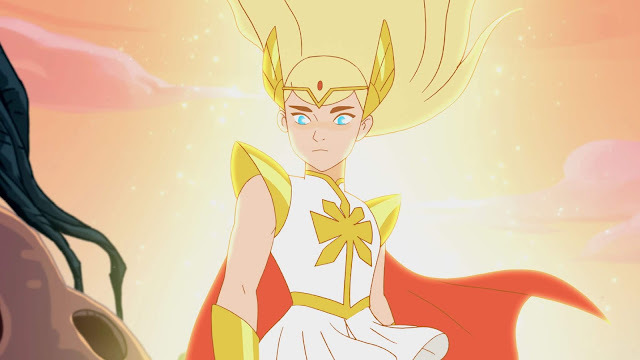 Inspired by the popular ‘80s animated series, DreamWorks She-Ra and the Princesses of Power tells the epic story of an orphan named Adora, who leaves behind her former life in the evil Horde when she discovers a magic sword that transforms her into the mythical warrior princess She-Ra. Along the way, she finds a new family in the Rebellion as she unites a group of magical princesses in the ultimate fight against evil. For the honor of Grayskull and in celebration of its early release thanks to fan excitement, we can enjoy 13 half-hour episodes on Netflix now! 1. Cut out all template pieces and arrange them on cardboard sheets. Trace around the edges of the templates on to the cardboard. Cut out each sword piece and set aside. 2. Print directly onto colored card stock sheets. 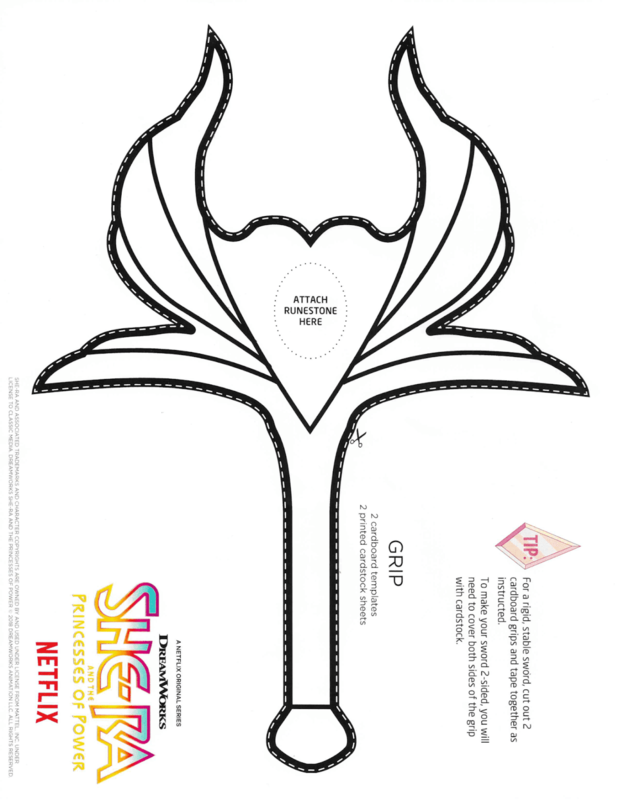 You may instead trace the shapes onto white cardstock and color in your shapes. Cut out each sword piece and set aside. 3. Apply glue to the back of each cardstock piece and stick to the front of each matching cardstock piece. Match grip to grip and blade to each blade. 4. Repeat step 3 to cover the reverse side of your sword. TIP: Add extra flair to your sword with 3-D puff paint, glitter, and markers! 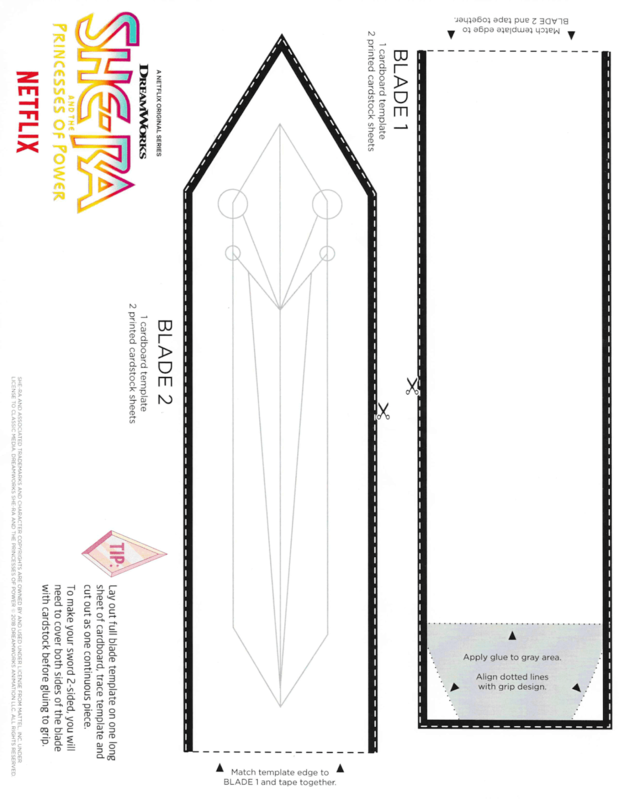 Including this DIY sword craft kit, we received a bunch of other goodies to celebrate this awesome show. I am excited to share this "new" show with my daughter. I feel like it will be a great woman empowerment show for girls. I am also excited to see the story line and where the show takes us in the Honor of Grayskull! Do you have Netflix? Do you think your kiddos would like this new show? In recognition of International Women's Day, DreamWorks Animation has assembled the cast, crew and young fans of She-Ra and the Princesses of Power to remind girls around the world they have the power to achieve anything they set their mind to. 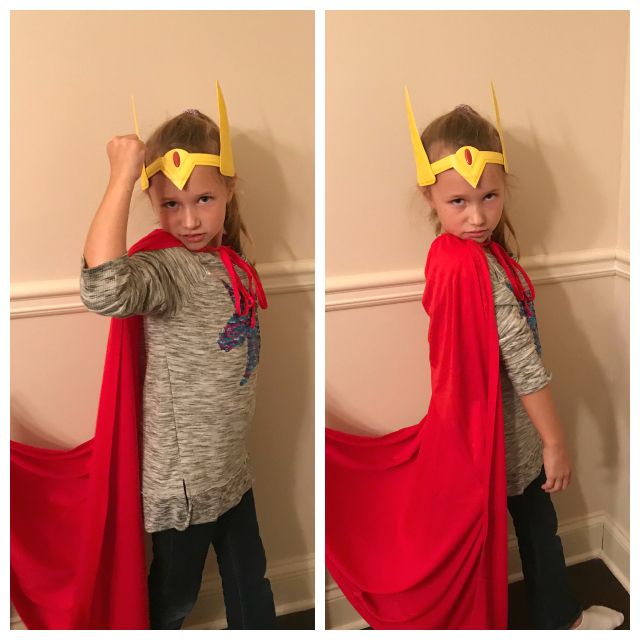 Join She-Ra in fighting the good fight - and forge a #BalanceforBetter in the world. 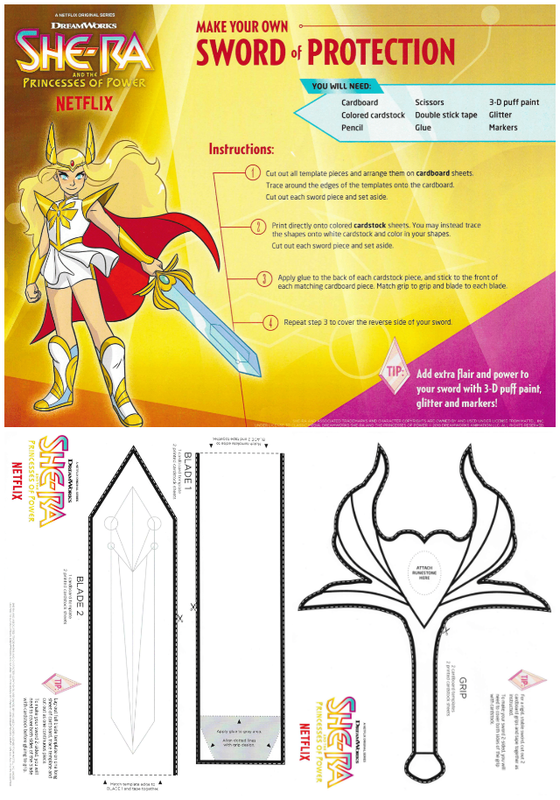 Thanks DreamWorks for the free DIY She-Ra crafts, tiara, character cards, and buttons. I'm not too familiar with this character or film--definitely one to consider! Hm never heard of this one, lovely.